We are in the final Christmas countdown! I’m so excited for all the eating, game playing, family time, and my kids’ ecstatic faces on Christmas morning. We’ll soak up every second of the extra time together while eating leftover sugar cookies and turkey for days. Then, the kids will head back to school and I’ll be smacked in the face with post-holiday toy clutter. I’m determined not to let clutter rule 2018 and that starts with tackling the toys. Truth be told, I started last week while the kids are still in school because getting rid of toys is MUCH easier when they’re not around. Toss, keep, donate piles have taken over the basement and now it’s time for the next step, these 3 steps to tackle post-holiday toy clutter after all the presents are unwrapped. Having kids ranging in age from 4 – 16 means lots of toys get passed down. The younger ones aren’t always at an age to play with what their older siblings have outgrown but it’s still worth holding onto. 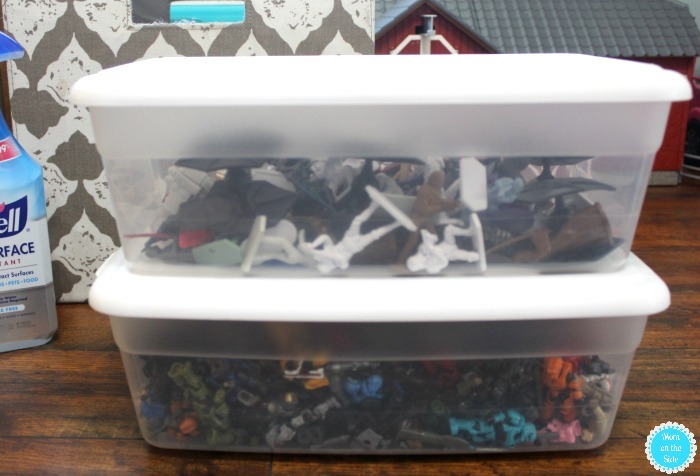 You know I love containers and totes are where I store toys until they are ready for them. Totes are also a great way to rotate toys and reduce mess during play time. Tackle all the toys you are getting rid of right away. Disinfect toys to donate and drop them off right away so they don’t sit in your car for weeks. Tag and box up any toys you are selling in a garage sale after winter. 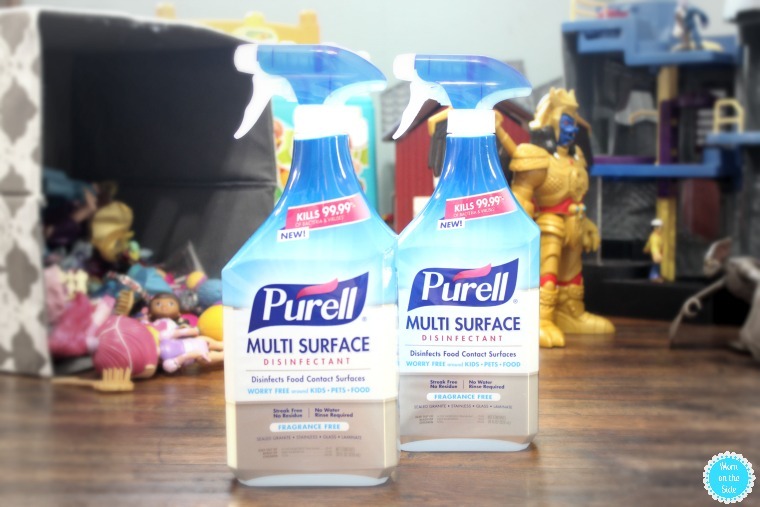 Disinfecting with new PURELL® Multi Surface Disinfectant is a quick and easy way kids’ toys can receive the germ killing power of bleach without harsh chemicals. 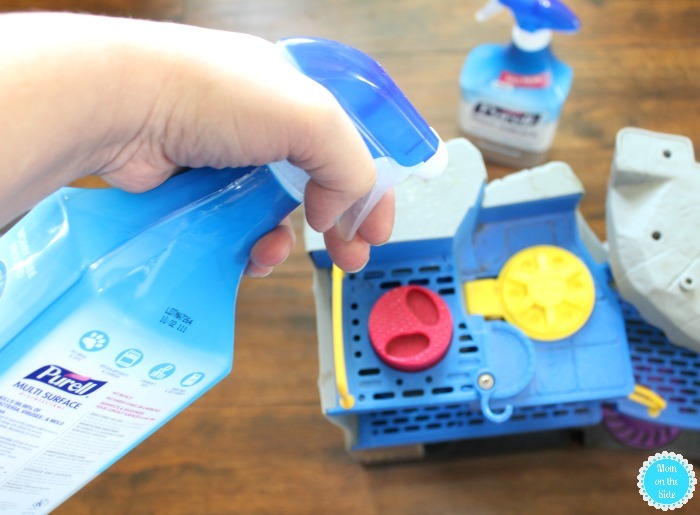 This new, revolutionary surface spray is unlike anything else on the market today and will help you tackle toy clutter and germs at the same time. We’ve trusted PURELL® Hand Sanitizer to keep our family healthy for years, and now we can enjoy peace of mind just about anywhere with this multi-surface spray that is worry-free around kids, pets, and food. If you’re like me you’ll end up disinfecting all the toys because of how clean the toys look and smell! Organization helps keep me sane and everything having a home makes me smile at the end of the day. Giving new toys a specific home makes cleaning up quicker and easier. It also means not answering “where is…” questions every day and THAT helps keep me sane as well. 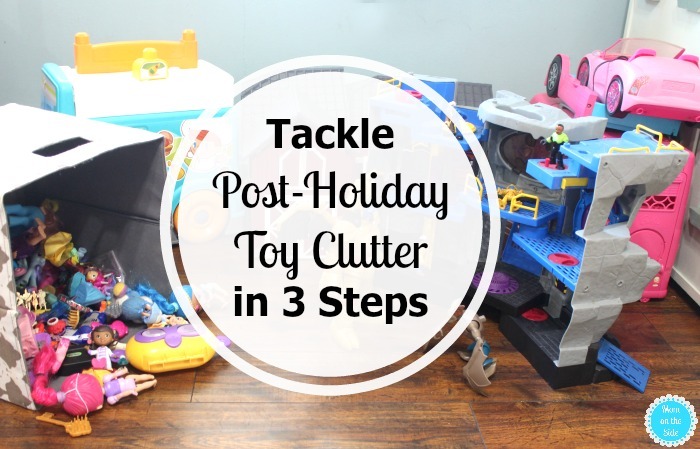 Now you’re ready to tackle post-holiday toy clutter in three simple steps. Grab some PURELL® Multi Surface Disinfectant available online at Amazon.com (where you can save 20% of right now! ), Jet.com and Walmart.com, as well as in-store at H-E-B and Publix. Plus, it will soon be available in store at Shop Rite and Wakefern Food Corporation if you have those in your area! 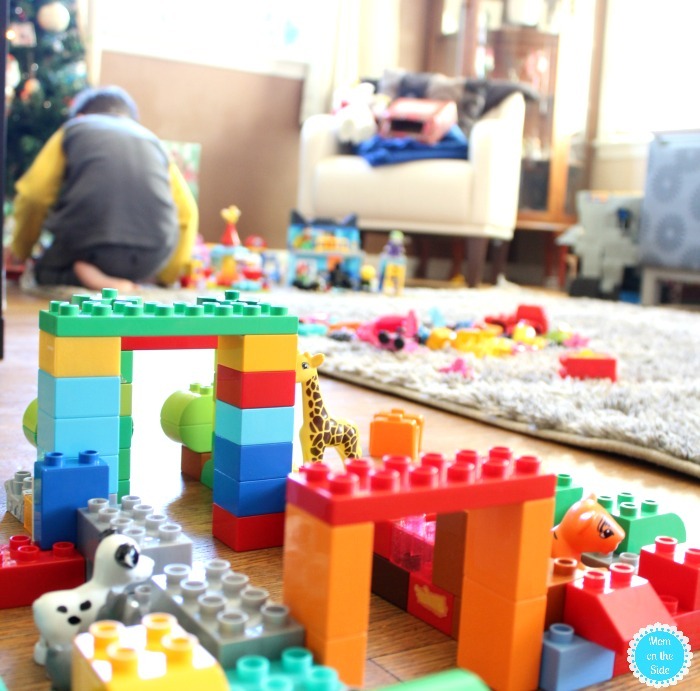 How do you tackle post-holiday toy clutter?